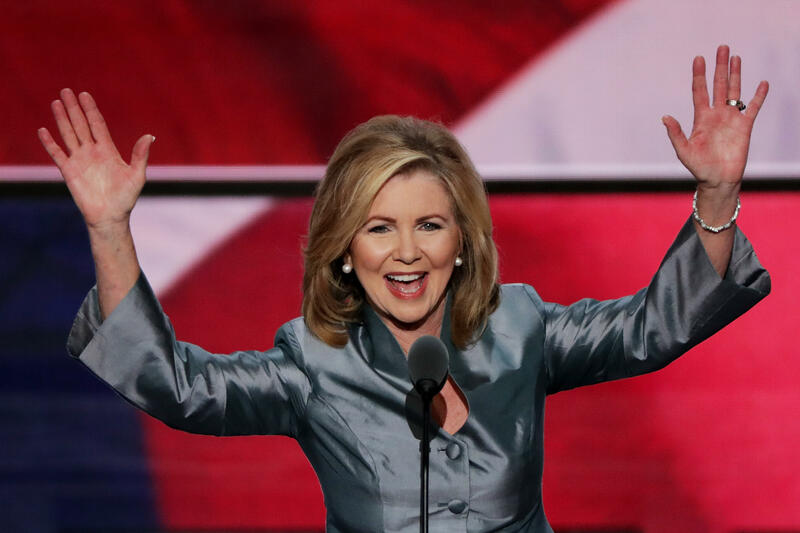 Republican Rep. Marsha Blackburn's Senate campaign announcement ad has been blocked by Twitter over a statement the abortion rights opponent makes about the sale of fetal tissue for medical research. Twitter said the Blackburn campaign would be allowed to run the rest of the video if the flagged statement is omitted. While the decision keeps Blackburn from paying to promote the video on Twitter, it doesn't keep it from being linked from YouTube and other platforms. Blackburn was the chair of a Republican-run House panel created to investigate Planned Parenthood and the world of fetal tissue research that earlier this year urged Congress to halt federal payments to the women's health organization. Democrats said the GOP probe had unearthed no wrongdoing and wasted taxpayers' money in an abusive investigation. The panel was created after anti-abortion activists released secretly recorded videos in 2015 showing Planned Parenthood officials discussing how they sometimes provide fetal tissue to researchers, which is legal if no profit is made. Fetal tissue research has strong backing among scientists for its value in studying Down syndrome, eye disease and other problems. But Blackburn's committee report said fetal tissue "makes a vanishingly small contribution to clinical and research efforts, if it contributes at all," and recommended curbing federal grants for such research. Blackburn's nearly two-and-a-half minute video features footage of her shooting a gun, espousing her "100 percent pro-life" credentials and taking fellow Republicans in the Senate to task for failing to repeal the Obama health care law. "I know the left calls me a wingnut or a knuckle-dragging conservative," she said in the video. "And you know what? I say that's all right. Bring it on."